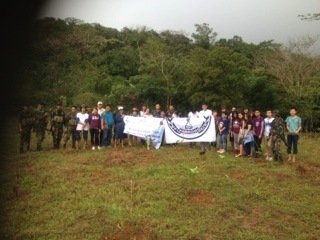 2013 UPLB , AFP & FEED Restore Philippine Forests 1000 Seedlings at a Time | FEED, Inc.
1000 seedlings, 1.5 hectares, 31 volunteers and 8 hours in the rain and sun. These were the numbers last Friday, December 13, when UPLB professors and students teamed up with the Armed Forces of the Philippines and the non-profit organization FEED, Inc in a tree planting activity in Real, Quezon. 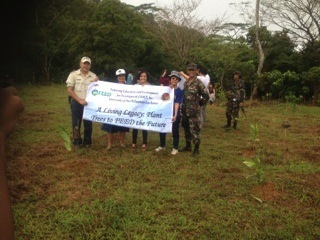 This activity was part of their ongoing advocacy called “Living Legacy: Plant a Tree, FEED Our Future” program which supports the restoration of the country’s forests and natural woodlands. According to UPLB Professor Emeritus, Dr. Asuncion K. Raymundo, “Tree planting is a very simple way that anybody can do to make mother Earth breathe easier.” She also emphasized that the younger generation must be taught the importance of sustaining and restoring the forests as they are the future caretakers of Mother Earth. 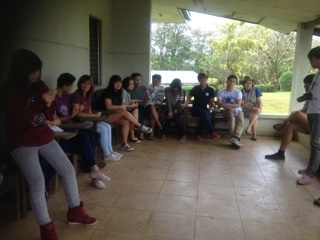 UP Varrons, a UPLB student organization, pitched in this rehabilitation and handled the transportation logistics. Ben Arizala, Manager at the UPLB Land Grant Management Office took the lead upon arrival at the site, providing food for the volunteers through FEED and touring the group around the compound. He also quoted his favorite inspiring line, “The best time to plant a tree is twenty years ago. The second best time is now”. FEED, Inc was represented by Professor Emeritus Dr. Cleo Cervancia and retired Professor Dr. Elvie Fernandez. 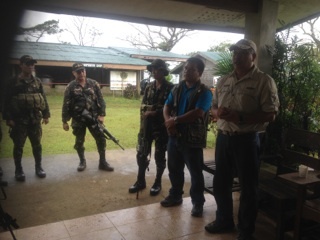 Helping ease the heavy lifting and planting of the reforestation effort were soldiers led by Technical Sergeant Levy Porsincula under Commanding Officer Lt Col. Romeo Mangabay, First Infantry Battalion, Second Infantry Division, Philippine Army, in Bgy. Galalan, Pakil, Laguna. 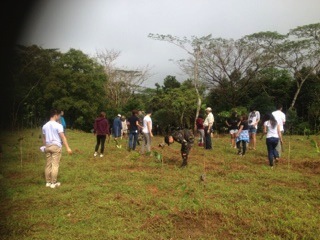 This event is the fifth tree planting activity that has been done is accordance with the Memorandum of Understanding between the UPLB, AFB and FEED under the Sierra Madre Land Grants. UPLB, FEED and the AFP also celebrated World Environment day on June 5, 2013 with the MOA Signing at Makiling Botanic Gardens of UPLB; and a July 10, 2013 Environmental Documentary Photo Shoot/Interview & Tree-Planting with Philippine Station TV 5.